Let’s face it. Kids want to be cool. What better way to be cooler than cool than by becoming your school’s next guitar superhero? Just imagine the look on their faces when your first drum solo knocks them out of their seats! Yes! 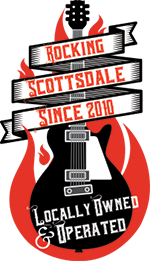 You can have all that AND the skills to be a ridiculously talented musician at the Scottsdale Music Academy. Our private music lessons are ultra fun and chock full of star-studded knowledge that will show you step-by-step how to play real music that YOU WANT TO PLAY. Nothing’s more boring than being stuck in a vacuum, playing boring scales by yourself. So you’re going to get the chance to play in a real live rock band with other students. You’ll see firsthand how awesome it is to play the best music around with people who love their instrument as much as you do. 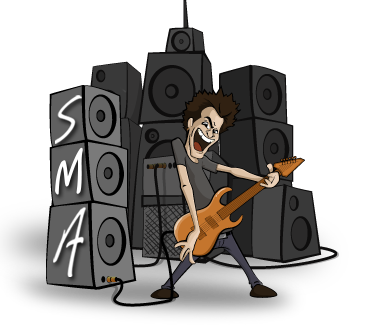 If you eat, sleep, dream, and hunger for music the way we do at SMA, or even if you just want to try something different and new, schedule a lesson NOW. Call 602-751-3537 to schedule youth music lessons today. You won’t regret it – and if you do, we’ll eat our guitar strings!